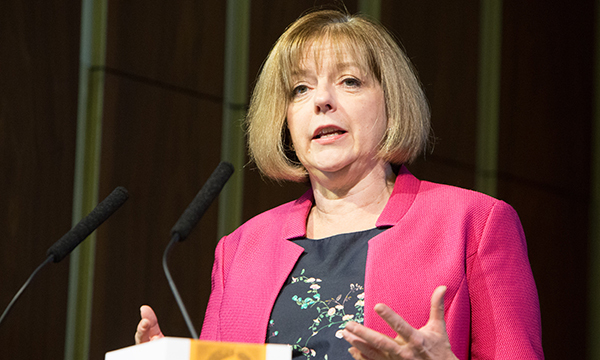 Hundreds of the country’s most senior nurses and midwives met in Birmingham at the annual summit of England’s chief nursing officer (CNO). As ever, it proved a great opportunity to hear some of the most influential thinkers and speakers in healthcare, including the chief nurse herself, Jane Cummings. It was also a chance for many of those who attended to meet the new consultant editor of Nursing Management, Barry Quinn. As well as Professor Cummings, we heard from the likes of NHS England chief executive Simon Stevens and RCN general secretary Janet Davies. RCNi editorial advisers presented too: Molly Case, her CNO-commissioned poem, The Last 1000 Days; and Heather Caudle, as part of a panel discussion on putting transformation of experience, personalisation and participation at the centre of what nurses do. One of the most anticipated speakers was health secretary Jeremy Hunt. He called on the 500 or so healthcare leaders from commissioning and provider organisations to help him in four ‘real priorities’. I want to focus on one of them, ‘changing culture’, because this is where Nursing Management can help by being at the forefront of improving care. ‘The issue is not a lack of good practice; we have some of the best hospitals, doctors and nurses. It’s the failure to share best practice,’ he said. RCNi publishes Nursing Management to celebrate nursing and to spread exemplary practice. So, if you have good practice to showcase, contact me, at nick.lipley@rcni.com, or Barry, at barry.quinn@rcni.com, to find out how we can help.